Why AS YOU LIKE IT? Devon and I wanted to read AS YOU LIKE IT because it’s lovely and fun and has great roles for chicks such as us! I approached Devon almost 8 months ago about co-initiating the project with me, proposing that she take on the role of “Rosalind” and I tackle “Celia.” Given the numerous references in the script to Celia’s, ahem, shorter stature, this seemed to be our natural casting. Another reason we were attracted to initiating a reading of AYLI? We young ladies in the company often double for one another in Antaeus productions, which means we never actually get the chance to work on stage with one another. AYLI gave us a chance to do that, in addition to enlisting the sizeable talents of the experienced ensemble. 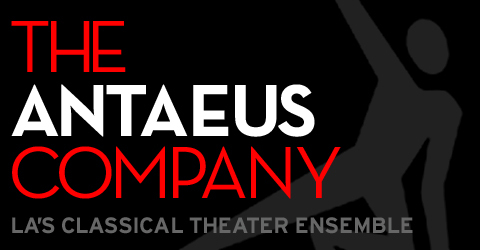 We knew it would be a treat to hear the play with Antaeus voices. Plus, something about AYLI in summertime just made us smile…it does indeed seem the right time of year to hang out in the forest, singing songs, falling in love…. On a slightly deeper note, there are several themes in the play that we were attracted to and curious about. Sibling rivalry. Mirth vs. melancholy. Getting out from under the thumb of a repressive, controlling regime (Age of Bush) and entering an era of brotherhood and compassion (Age of Obama). Choosing who you want in your life to be “family” – whether that be your cousin, your lover or your band of brothers in the woods. It’s also been fascinating exploring AS YOU LIKE IT while we have been prepping for a study cycle of KING LEAR. There are quite a few parallels between the two plays, and juxtaposed against one another, they become all the more clear. Father-daughter relationships. The exile of Kings. The corruption of court life vs. the simplicity of nature. A striking example of the relationship between comedy and tragedy is the similarity of plot in KING LEAR and AS YOU LIKE IT. Lear’s two elder daughters deprive him of all his kingly trappings and cast him out onto the stormy heath where the banished Kent comes in disguise to serve him. Edmund plots to capture his brother Edgar’s title with the result that Edgar too is forced to run away to the heath for safety. Lear, Kent, Edgar, Gloucester and The Fool roam in the wilderness and face the harsh conditions of physical nature. In AS YOU LIKE IT, Frederick usurps his older brother’s title and exiles him to the forest. Oliver deprives his younger brother Orlando of his rightful share of the inheritance and later plots his murder, forcing Orlando to flee to the forest with his servant Adam where they join Senior with his lords, Rosalind, Celia and Touchstone living in nature.